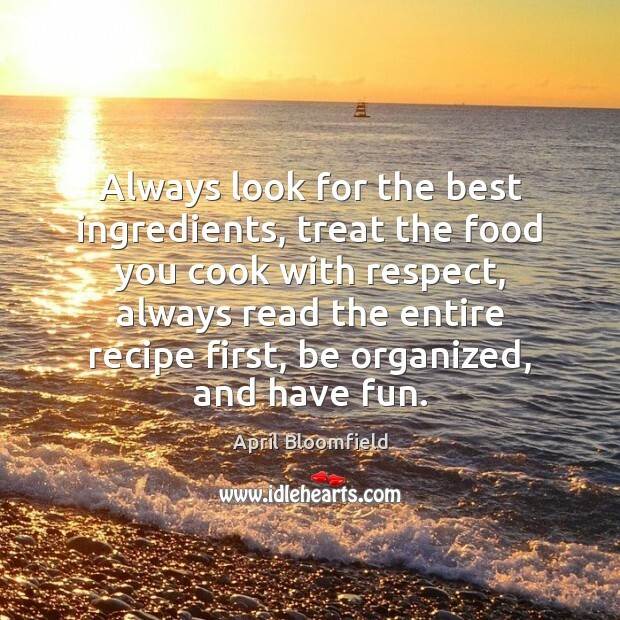 Enjoy the best inspirational, motivational, positive, funny and famous quotes by April Bloomfield. Use words and picture quotations to push forward and inspire you keep going in life! 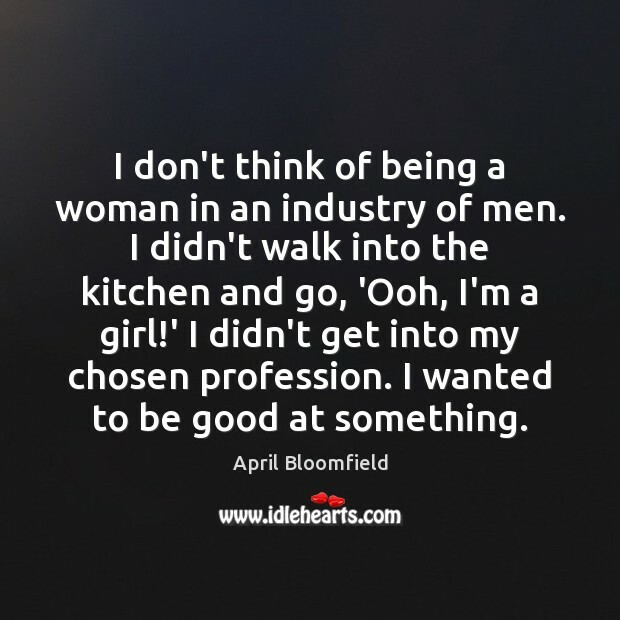 I don't think of being a woman in an industry of men. I didn't walk into the kitchen and go, 'Ooh, I'm a girl!' I didn't get into my chosen profession. I wanted to be good at something. I'm not the type of person to eat big hunks of meat. 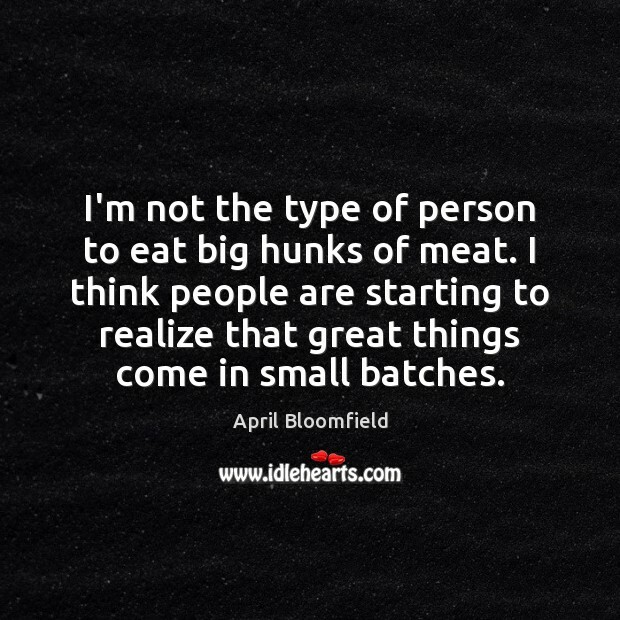 I think people are starting to realize that great things come in small batches. 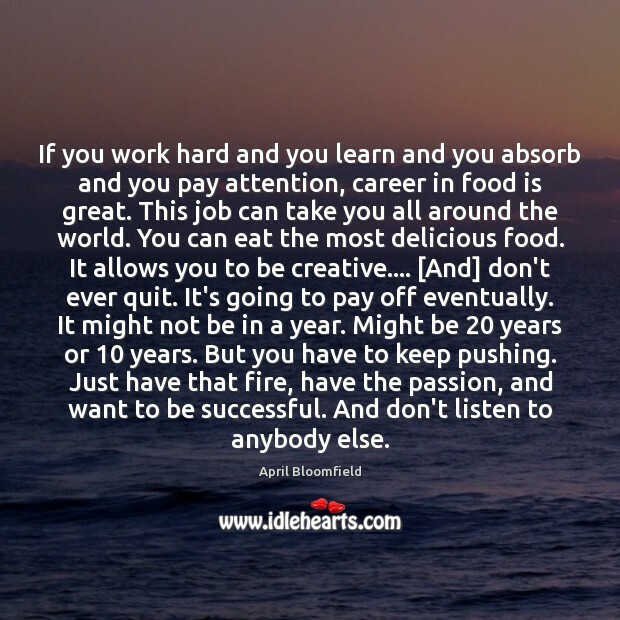 If you work hard and you learn and you absorb and you pay attention, career in food is great. This job can take you all around the world. 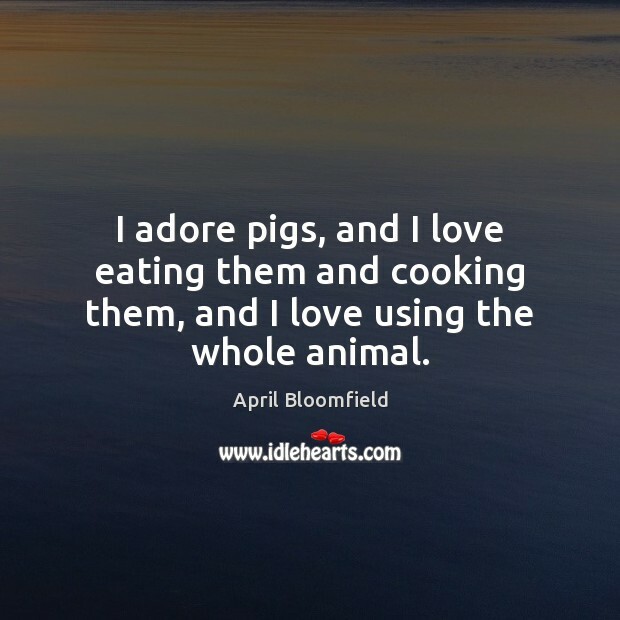 You can eat the most delicious food. It allows you to be creative.... [And] don't ever quit. It's going to pay off eventually. It might not be in a year. Might be 20 years or 10 years. But you have to keep pushing. Just have that fire, have the passion, and want to be successful. And don't listen to anybody else. I love to roast vegetables - carrots, fennel, and so on. 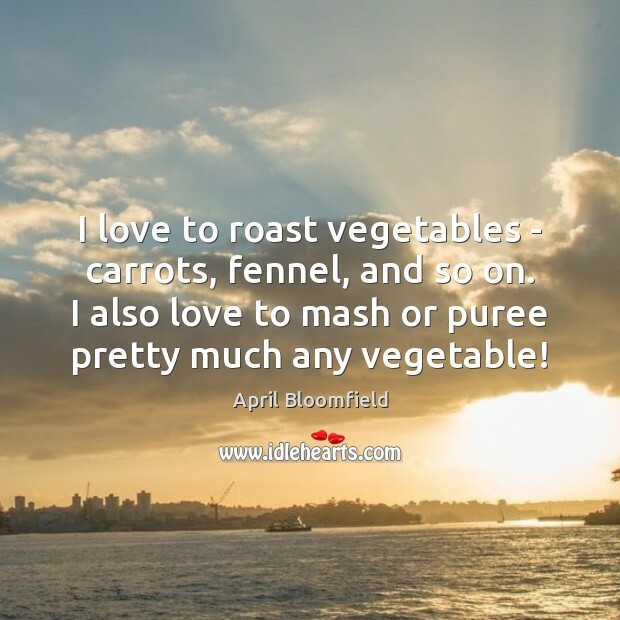 I also love to mash or puree pretty much any vegetable! I became a manager very young. My first sous chef job I was, maybe, 25. It was a bit too early for me. But it's on-the-job training. You really just get stuck in there and it's trial and error. 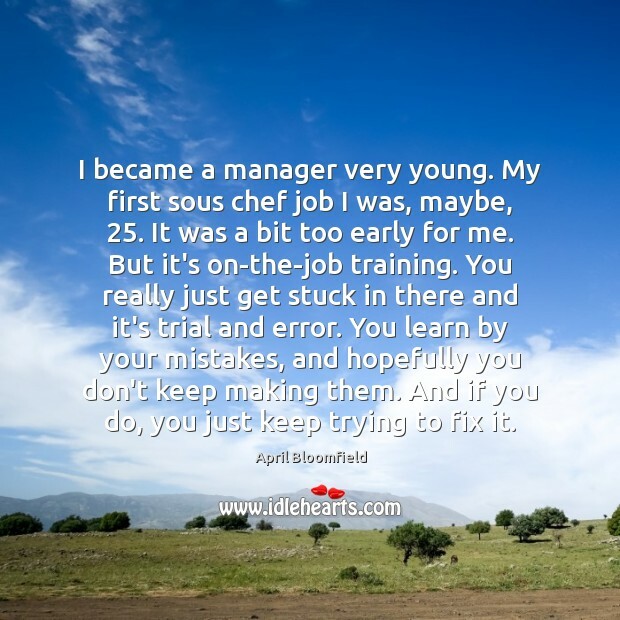 You learn by your mistakes, and hopefully you don't keep making them. And if you do, you just keep trying to fix it. Food's delicate. 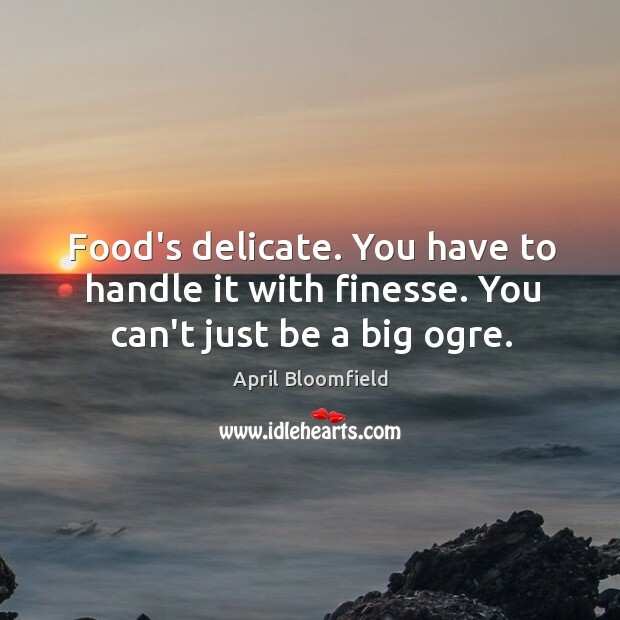 You have to handle it with finesse. You can't just be a big ogre.